With my experience in shopping for a Tesla S, this really scares me! Ugh! 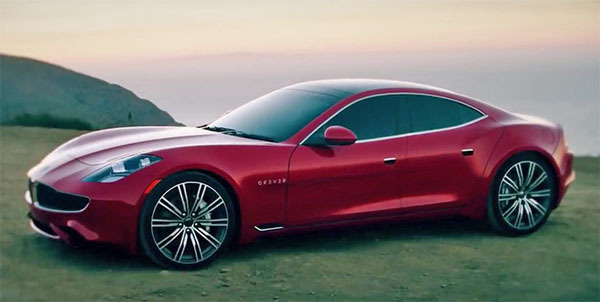 I'm turned off that 2 other companies "bastardize" this model, first with Bob Lutz (converting this to a gas engine Chevy V8 model) and now with the Karma brand. I hope that Karma's B.S. about working on a solid state battery that recharges in a few minutes and has a range over 500 miles is going to be true one day. It may just be the angle and the lighting, but it looks like they've smoothed the bulge in the rear door and the faint line under the front door handle. Too bad. The new front lights make the hood look longer and less like its eyes are bugging out. They do a nice job of hiding the B pillar and rear window post on the red one. Talking with Tesla customers waiting for their S to be service, repaired, I going to wat till a new re-design model come out! Lots of issues with the Model S still!